The Bankers Association for Finance and Trade (Baft) has released a series of guidelines for correspondent and respondent banks to help them to forge and maintain global business relationships. Baft has created the so-called ‘respondents’ playbook’ together with a working group of business and compliance professionals from global correspondent banks. It includes a range of recommendations for respondents – including banks, money services businesses and fintech companies – to help them better understand the “legitimate expectations of correspondents”, explains Samantha Pelosi, senior vice president of payments and innovation at Baft and the primary author of the playbook. “The playbook allows correspondents to reach respondents that are looking for new relationships and helps educate those respondents on what potential partners are looking for,” she tells GTR. The aim is to stem the tide of correspondent banks scaling back their interbank business in emerging markets as a result of rising risks and cost of compliance associated with those markets. Among its suggestions, the playbook recommends that respondents utilise Swift’s know your customer (KYC) registry in order to lower the onboarding cost for the correspondent bank. Respondents are also advised not to hide risky features of their business or marketplace and maintain regular communication with their correspondent bank to make them aware of changes to their business environment. 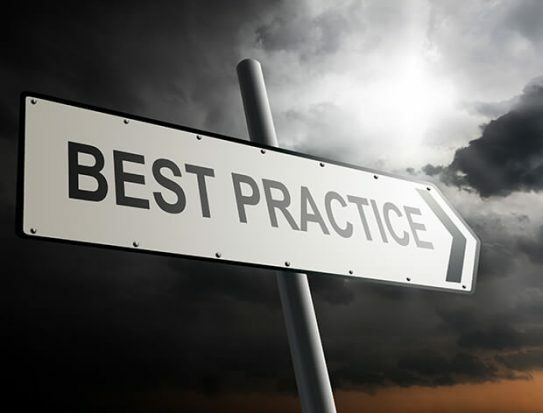 Engaging in trade finance with a banking counterpart also requires a higher than usual standard for KYC compliance and due diligence compared to commercial banking, which is explained in the playbook. “On the respondent’s side, the playbook aims to demystify why correspondents are asking for information that may be viewed as invasive, such as why they need names, addresses, date of birth and copies of passports for beneficial owners of the banks. It explains that it is the international standard for identifying your clients, and the client is the respondent,” Pelosi says. Baft’s intervention comes in response to an analysis by the Financial Stability Board (FSB) and other international oversight bodies that have observed wide-scale derisking by large banks since 2011. This has led to a dramatic drop-off in the number of correspondent-respondent bank relationships and has left some regions isolated from the rest of the global economy. Pelosi highlights the plight of countries such as Somalia, which has been completely abandoned by the wider economic community as it is now classified as a “failed state” due to the lack of functioning government and central bank. The association previously believed the decline in correspondent relationships had “levelled out”, until the FSB’s latest report on the matter, released in November, revealed that the decline is continuing, albeit at a slower rate. According to Pelosi, there are three key drivers behind this trend: first, a strategic change by correspondent banks to consolidate their positions in traditional markets by leaving areas where they might only have had a limited market share or a non-physical presence. Second, the rising cost of compliance with KYC and anti-money laundering regulations, alongside other liquidity requirements. Third, the overall increase in financial crime and the risk of a respondent bank falling foul of the required safeguards have put some banks off venturing into new business relationships. According to Baft, its playbook is only one part of the solution to these challenges. On the industry side, the use of new tools such as KYC registries, emerging technologies and standardised due diligence questionnaires is a way for correspondent banks to better control onboarding and compliance costs. Meanwhile, multilateral organisations are engaging with governments of emerging nations to bring them up to speed with international standards in regard to supervision of the financial sector and tackling financial crime.